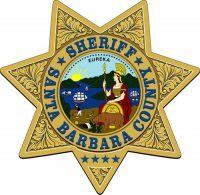 A man fleeing Santa Barbara County Sheriff’s deputies in Goleta jumped in the ocean Saturday afternoon and swam for an extended period of time, possibly contracting hypothermia before getting rescued and arrested. At about 1 p.m., a domestic violence incident reportedly occurred near the Ritz-Carlton Bacara Resort. As deputies arrived at the scene, Michael Reardon, 47, fled by foot, according to the sheriff’s office. Reardon entered the water near Sandpiper Golf Course in Goleta and swam away from deputies. At about 2:30 p.m., the Santa Barbara County Fire Swiftwater Rescue Team launched a rescue effort. Rescuers located Reardon in the water near Haskell’s Beach and brought him to the shore. Reardon was reportedly displaying signs of hypothermia. Authorities arrested Reardon on charges of criminal threats, evading a peace officer and violating a protective order. Reardon was taken to the hospital before being booked into the Santa Barbara County Jail.